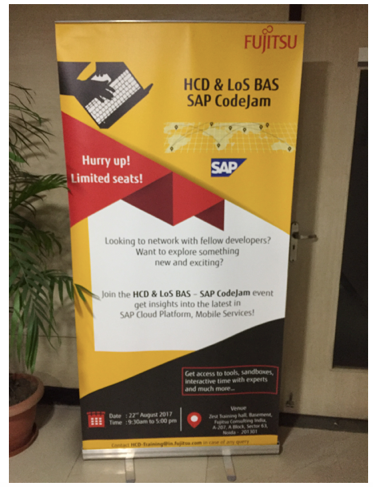 “SAP CodeJam” – This word is always electrifying among all the SAP folks irrespective of domains and LOBs which they work across. 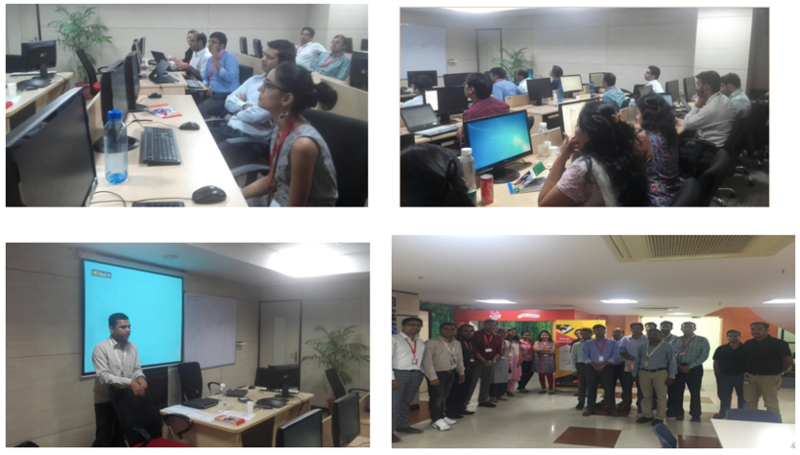 This time I with my colleague @ManjunathNagaraj had the opportunity to conduct the event on the 22nd of August @Noida, India on request from Fujitsu Consulting India for a group of 20+ people. As all other codejam events this was also open to public and up for registration at www.eventbrite.com. To our surprise, the registration to the event got filled within 10 mins of the launch internally with Fujitsu colleagues. 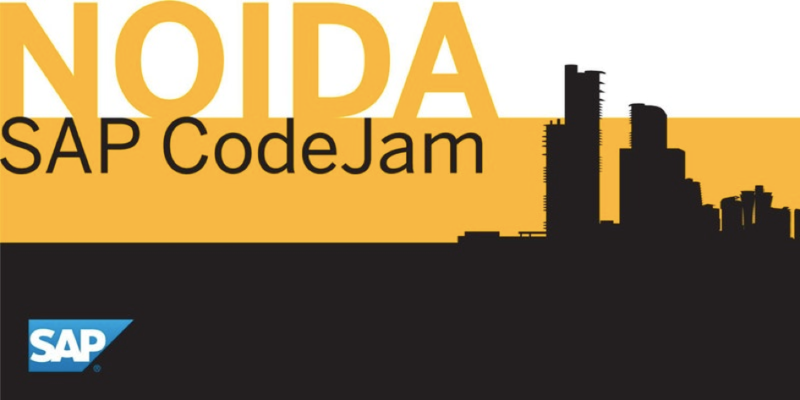 This left less opportunity for our other SAP partners to join us in our first CodeJam of 2017. Of course, I see this as a golden opportunity for us to do another CodeJam if any of you request again! Before this I’ve been part of many CodeJams but more as a participant for varied topics. To our pleasure this CodeJam was my and Manju’s first time from many aspects! 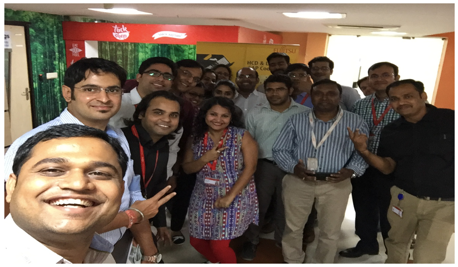 First CodeJam as mentors, first CodeJam of the year 2017 in the product “SAP Cloud Platform Mobile Services, first time travel out of Bangalore to deliver the CodeJam, first time met the Fujitsu Consulting India team! We started with a short overview of SAP Cloud Platform & its service offerings as the participants were new to the product! Then we moved on to high level concepts of why, where, how, what of “SAP Cloud Platform Mobile Services”. The participants were happy to understand the new offerings made available in the mobile services with the SAP And Apple partnership! 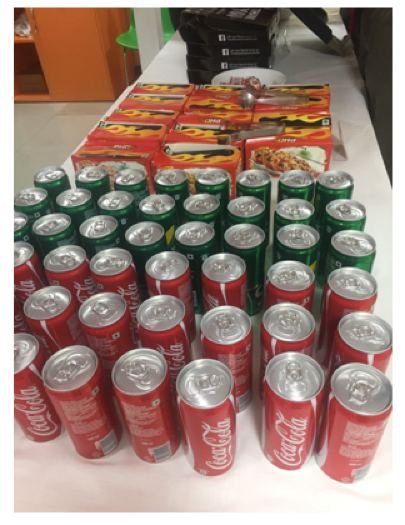 They were equally excited to try their hands on to the SAP Mobile SDK and the SAP CP Mobile Service for development and operations. We steered away from the regular scripts documented for CodeJam’s but put emphasis on content available for all as the SAP Interactive Tutorials in the developer community. The participants did learn how to build mobile applications and how to work with the SAP CP Mobile Services cockpit, and other features of SAP CPms like enabling authentication, logging, online and offline services, infrastructure requirements etc..
A huge “Thank You” to the organizing team from Fujitsu, Anoop O Kumar, Saurabh, Deepak for a being the magnificent host and also provide a great on-site support. Special thanks to Jigneshkumar Patel from Fujitsu for creating this opportunity and lastly to @krishna.dalal and @paramita.biswas from SAP for supporting us to deliver this successfully! You can request your own event by simply sending us an email. Select a topic of your choice, choose three possible dates, tell us the maximum number of people you can support (we prefer at least 25 to 40) and send it to sapcodejam@sap.com. We will get back to you as soon as we have an expert available.